We are one creative set of beings, aren’t we? Every year, we get to see so many beautiful skyscrapers, museums, stadiums and other masterpieces that leave us in total awe. These really are a feast for our eyes! We loved this collection and so, naturally felt all students and info enthusiasts should take a look at some of the most mind boggling and awesome creations that Man has made on Earth. As you read on, you will be amazed by the extent the human brain can go and explore- if given a chance! On that note, I personally think- such professionally made structures need to admired and not to be destroyed by thoughtless maniacs in society. Let Ideas live and inspire the future generation, to go on in life to appreciable and scaling heights. 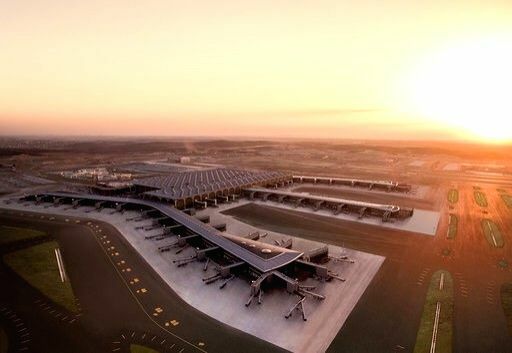 From 2013, this has been declared as the World’ s largest International airport and also one among the five busiest airports in Europe. What’s more? This is a whopping $11.7 billion project!! This is one superb creation and right now it is parked at Rajiv Gandhi International Airport in Hyderabad. It is also known to have the largest wingspan of an aircraft at the moment. If you are a fan of long, bridges then take at long at the largest steel arch bridge. 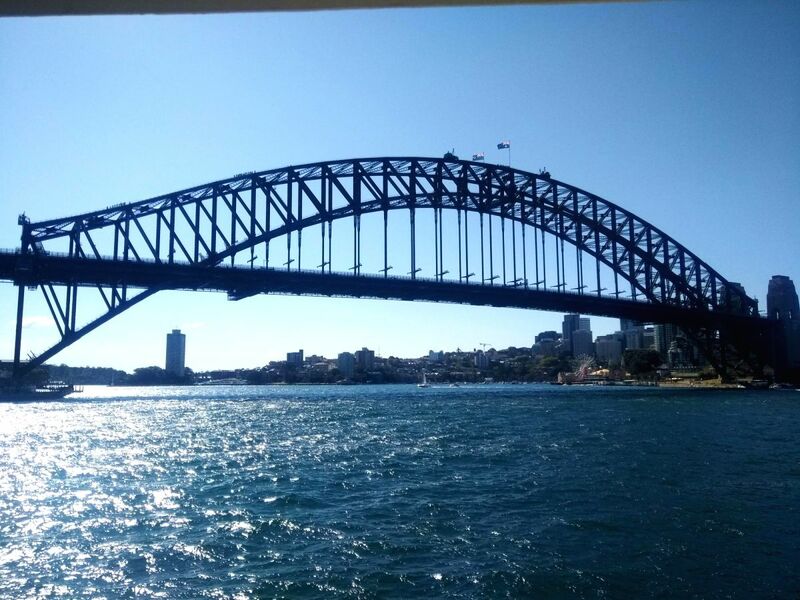 It is in Sydney and has an arch span of 503 metres. It was completes in 1932. 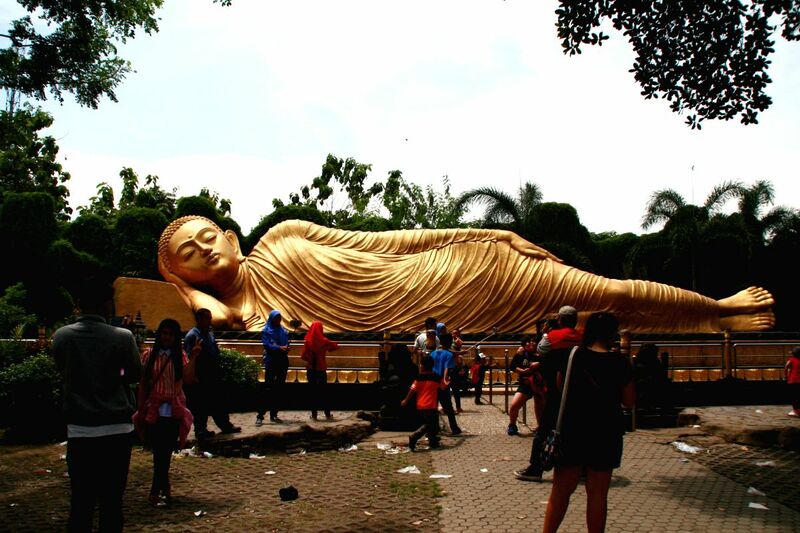 If you are in East Java, Indonesia, then make sure to take a look at the world's third largest Sleeping Buddha statue at Mojokerto in East Java, Indonesia. 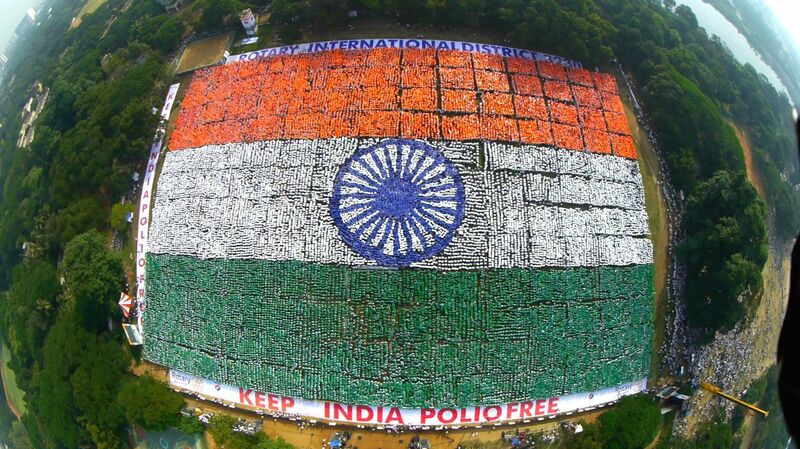 In 2014, in Chennai, India, thousands of volunteers gathered together Nandanam YMCA Ground in Chennai for the formation of largest tricolour human flag formation. 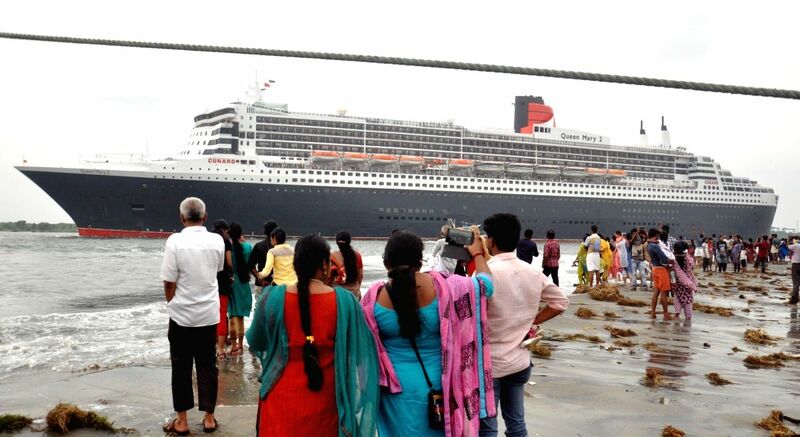 It is also known as QM2, and is the largest passenger ship. Apart from that, this is the only passenger ship that works as an ocean liner also. 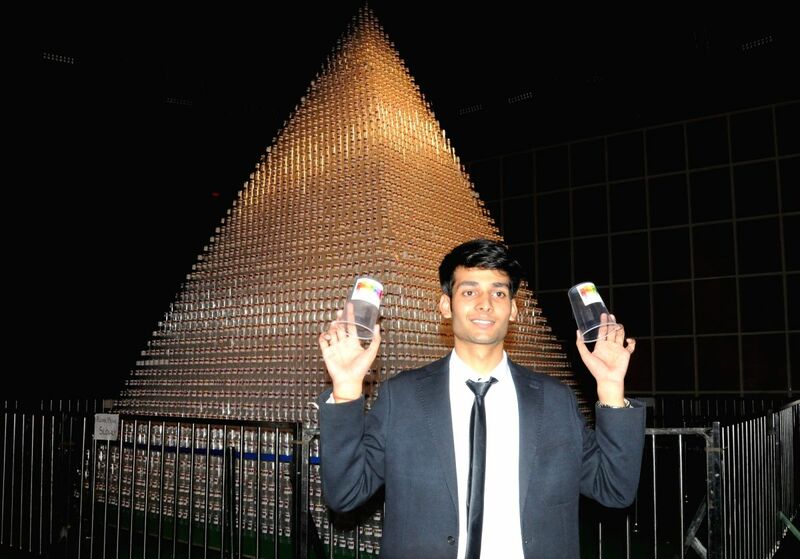 This is the largest plastic cup pyramid with his group members by Using 57,000 plastic cups at Tyagraj Stadium in New Delhi on Sept 17, 2016. 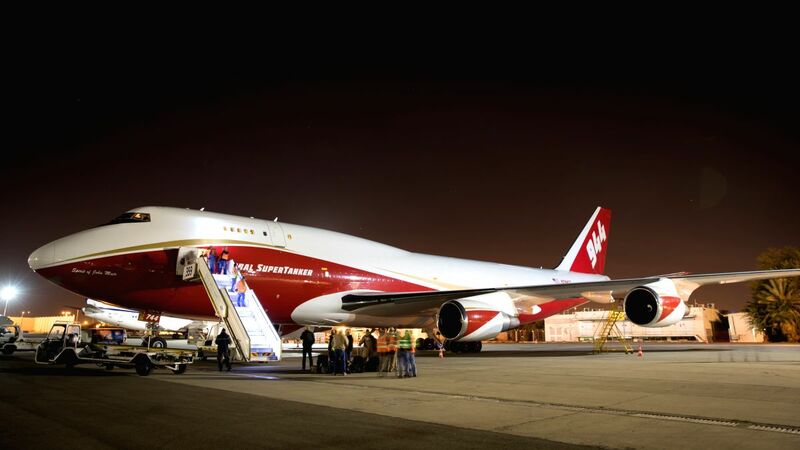 This is one massive firefighting airtanker that was developed from so many Boeing 747 models. It can carry about 19,600 US gallons (74,000 L) of fire retardant or water for 400 miles. 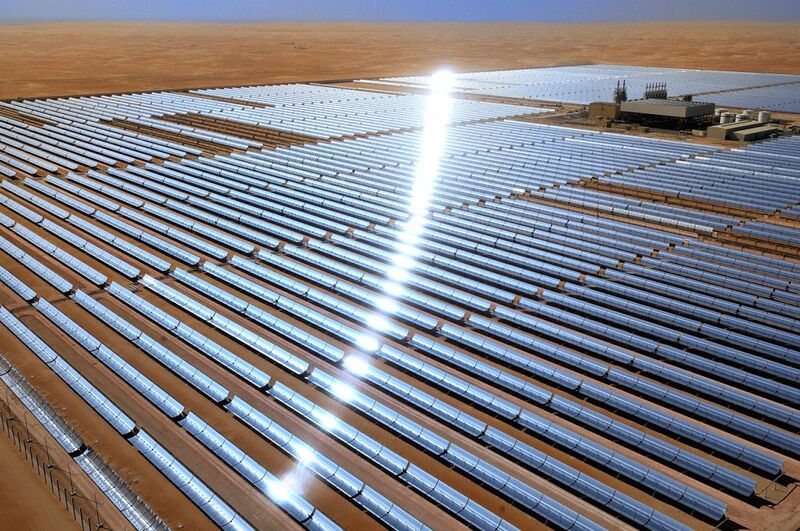 This is the world's largest concentrated solar power plant in operation. 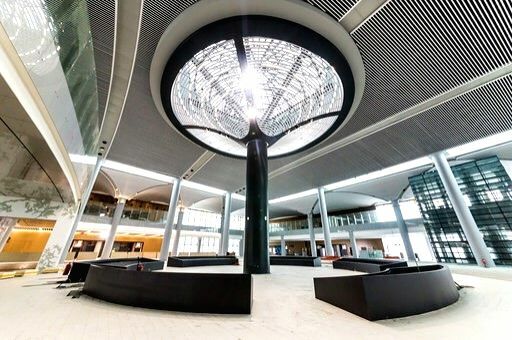 Covering an area of 2.5 square kilometers, the project features more than 258,000 mirrors mounted on 768 tracking parabolic trough collectors, capable of delivering green electricity to 20,000 homes. This bridge is a transparent Cantilever bridge and is the largest of this kind in the world. 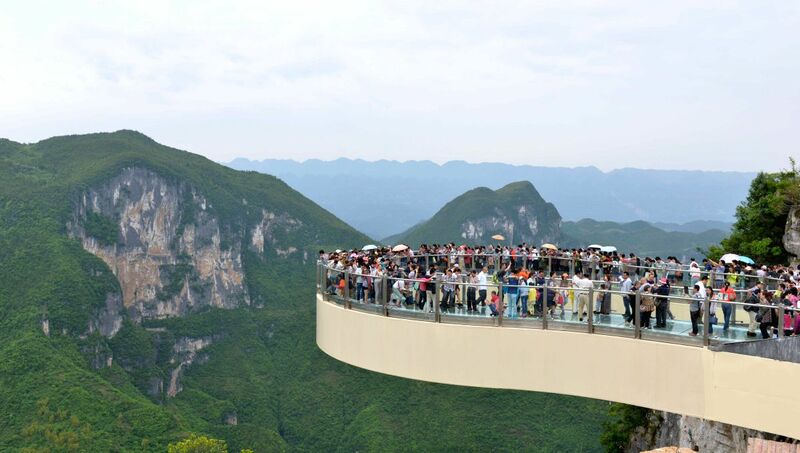 Tourists go sightseeing on a transparent horseshoe-shaped cantilever bridge at the Yunyang Longgang Geological Park in Chongqing, southwest China. The cantilever bridge is built at an altitude of 1,010 meters, with a vertical drop of 718 meters directly under the skywalk to the ground and a cantilever extending to 21.34 meters. The cantilever bridge is the largest of this kind in the world. 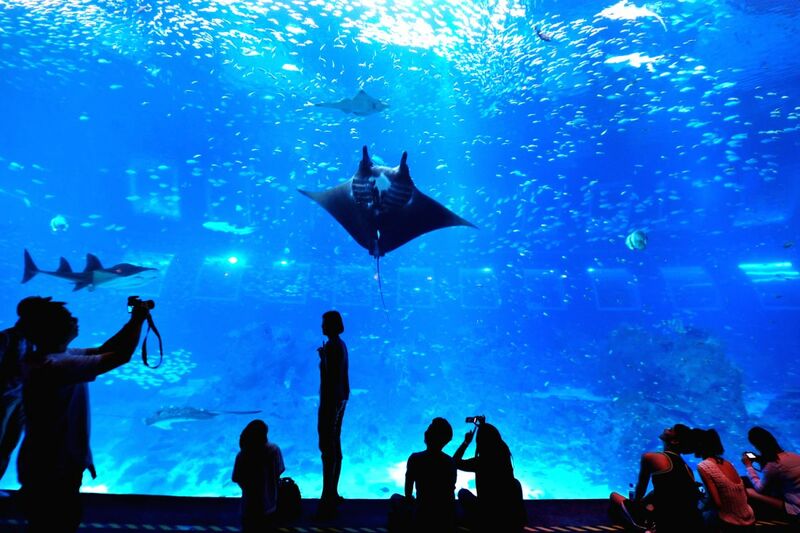 Dubai is all about thrills and adrenaline rush as its many architectural wonders, starting from the Burj Khalifa itself, keeps you enchanted in some sort of a spell. 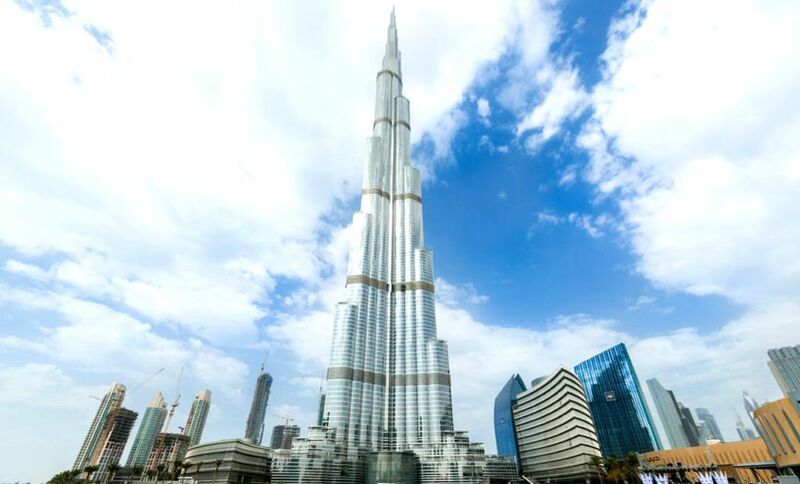 Take a visit up this grand Dubai wonder! 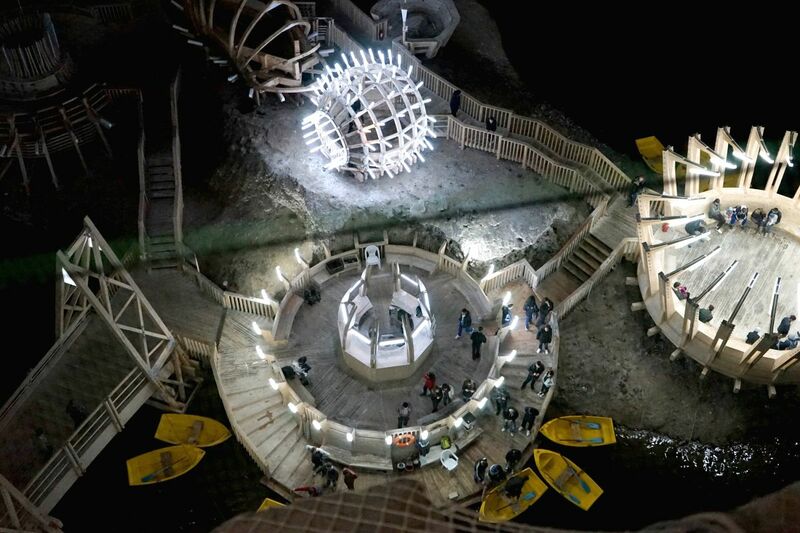 The museum of the old Salina Turda Salt Mines, Transylvania, Romania. The world's largest salt mine museum, is a combination of museum and sanatorium with many sport facilities as well as recreational amenities. It shows the assembly site of the single-aperture spherical telescope "FAST" in Qiannan of southwest China's Guizhou Province. 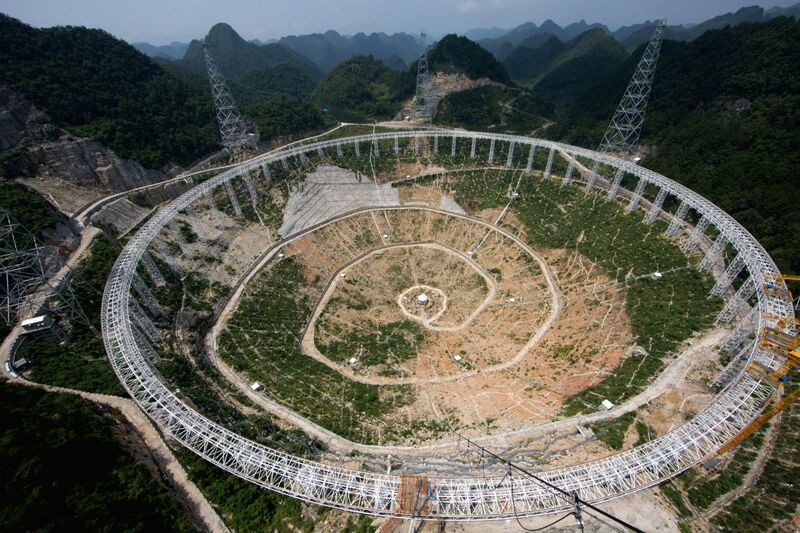 Assembly of the telescope, with a dish the size of 30 football fields and located deep in the mountains of Guizhou, has got underway. When it was completed in 2016, the five hundred meter aperture spherical telescope (FAST), it became the world's largest, overtaking Puerto Rico's Arecibo Observatory, which is only 300 meters in diameter.